Online education is on the rise in Wisconsin. According to the Distance Education State Almanac 2017, the number of Wisconsin students taking at least one online course rose by 13% from 2012-2015. A quarter of Wisconsin's college students take at least one online course, and 10% take all of their courses online. Additionally, most students enrolled in Wisconsin state schools take at least one course online. The state's support of distance education has resulted in tremendous growth in the number of online students at public institutions. Public schools claim the top 10 spots for distance enrollment in Wisconsin, and eight of the top 10 slots for the greatest growth in online enrollment. Use this guide to begin your exploration of online colleges in Wisconsin. 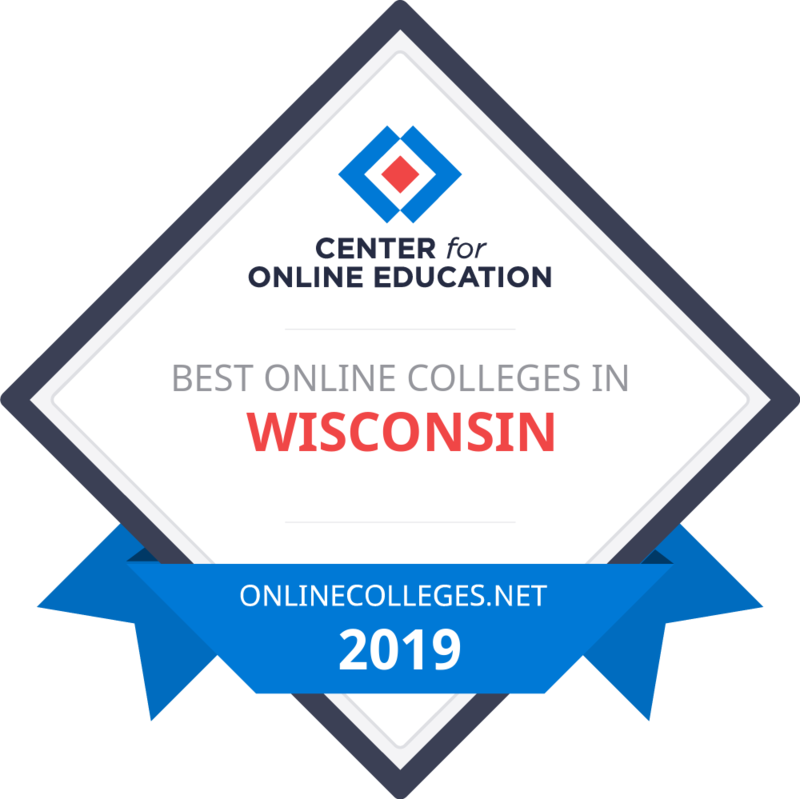 Check below for an overview of online education in the state, as well as our rankings of the most affordable and best online colleges in Wisconsin. You can also read about practical financial information, such as ways to help pay for college and the job outlook in Wisconsin. Wisconsin boasts 84 degree-granting institutions, including 31 public schools. Of these public schools, 14 offer four-year degrees, while the remaining 17 offer two-year degrees. One of the nation’s largest public university systems, the University of Wisconsin system serves more than 170,000 students through its 26 campuses with an annual budget of $6 billion. Classified as research universities, this system’s Madison and Milwaukee campuses offer advanced graduate degrees and research opportunities. Thirty four-year nonprofit schools also call Wisconsin home, as do 23 for-profit schools. Of the country’s nearly 20 million college students, more than 341,000 attend degree-granting schools in Wisconsin. The state boasts public school tuition rates below the national average. For the 2018-19 school year, Wisconsin students attending public colleges paid an average of $9,080 for in-state tuition and fees and more than $22,000 for out-of-state tuition. Wisconsin’s highly ranked flagship university — the University of Wisconsin-Madison — charged $10,555 for in-state tuition and $36,805 for out-of-state tuition. Wisconsin provides millions of dollars in state financial aid to assist college students. The state distributed more than $123 million in need-based grants in 2015-16 and nearly $3 million in merit-based excellence scholarships and $190,000 in special-purpose programs. According to the Distance Education State Almanac 2017, 25% of Wisconsin college students take at least one online course. This figure rose significantly from 2012-2015 but remains lower than the national average of 30%. Wisconsin’s online students span the spectrum of degree levels, with 12% going to graduate school and 40% attending two-year colleges. Ten percent of Wisconsin’s students take all of their courses online, although this number ranks below the national average of 14%. Of these students, most (77.5%) qualify as undergraduates. Nationwide, just over half of online students (55%) take courses at schools in their home state; however, in Wisconsin, this figure is much higher (74%). The University of Wisconsin system is especially supportive of distance education for those seeking to attend a Wisconsin online college. The system provides more than 150 degrees and certificates through its eCampus. About 84% of individuals attending Wisconsin’s state schools take at least one online course. UW-Milwaukee serves the largest number of students taking online courses in the state, while UW-Madison showed the state’s largest growth in students taking online courses. UW-Madison also hosts an annual Distance Teaching and Learning Conference that provides professional development and networking opportunities to distance educators. Wisconsin stands as one of 10 states that participates in the Midwestern Higher Education Compact (MHEC). More than 100 schools in participating states voluntarily offer discounted tuition rates to students from the other participating states. In addition to Wisconsin, these other states include Illinois, Indiana, Kansas, Michigan, Minnesota, Missouri, Nebraska, North Dakota, and Ohio. Through MHEC’s Midwest Student Exchange Program, participating public schools (including some of the best online colleges in Wisconsin) agree to charge residents of these other Midwestern states no more than 1.5 times the in-state tuition rate. Additionally, private schools agree to cut tuition by 10% for qualifying students. Wisconsin also maintains a long-standing reciprocity agreement with Minnesota. According to this agreement, Minnesota residents can pay in-state tuition rates at Wisconsin public schools. Because some schools create their own reciprocity agreements or offer tuition discounts to out-of-state students, make sure to check with potential schools to learn about potential tuition breaks. Read on to find our rankings of the best online four-year programs in Wisconsin. Our profiles look at how schools approach online education and then list services for distance students and popular, fully online degrees. After reviewing the best online schools in Wisconsin, you can also explore our state resources, such as a database of every college and university in Wisconsin and our index of popular in-state scholarships. Concordia University Wisconsin is a Christian university with a curriculum that combines faith and knowledge. Online students who live nearby the city of Mequon can worship on campus at the Chapel of Christ Triumphant. Many faculty members at CUW serve as active members of LCMS congregations and all identify as Christians who affirm the content of the Ecumenical Creeds and belong to Christian congregations. CUW features four online associate programs in healthcare management, human resource management, business management, and management of criminal justice. Additionally, the university boasts 11 different bachelor's programs, including nursing, entrepreneurship, diagnostic medical sonography, and theology. CUW's online education branch focuses on graduate programming heavily, offering more than 30 online master's degrees and several doctoral programs. Ph.D. students can pursue degrees in nursing practice, pharmacy and public health, and leadership in innovation and continuous improvement. Master's programs include topics like educational design and technology, occupational therapy, nursing, and information technology. The university also offers options for online MBA students, with tracks in accounting, communications and public relations, finance, healthcare administration, healthcare administration for practitioners, and human resource management. Educating a student body hailing from more than 40 states and 30 countries, the University of Wisconsin La Crosse reports a 19-to-1 student-to-faculty ratio. Additionally, more than 90% of its classes contain fewer than 50 pupils, providing a learning experience where students can easily connect with their instructors. UW-La Crosse's online learning courses hold approval from by the Online Learning Consortium (OLC). A professional organization that advances the quality of online education around the world, OLC applies research-based standards and benchmarks to help higher education institutions evaluate the quality of online programming. UW-La Crosse offers several online degree options, including three bachelor's programs, eight master's programs, and one doctoral program. Bachelor's students can focus their studies on health and wellness management, health information management and technology, and political science. Master's students can major in business administration, reading, professional development educational leadership, professional development online learning community, data science, student affairs administration in higher education, healthcare administration, and medical dosimetry. Additionally, the school offers a doctoral program in student affairs administration and leadership. The online MBA program at UW-La Crosse features 16 credits of required core courses and 14 credits of electives. Core coursework teaches students the fundamental business topics needed to succeed after graduation, while electives allow learners to explore areas within the field and better focus their education to match their career goals. A private university in La Crosse, Viterbo University was founded in 1890 by the Franciscan Sisters of Perpetual Adoration. The university features term-long and weekend sessions throughout the year. At Viterbo, 98% of students receive some type of financial aid, with more than 100 institutional scholarships available to learners. The school boasts a low student-to-faculty ratio of 11-to-1 and an average class size of just 16 pupils, providing learners with ample individualized learning experiences. One of 24 Franciscan universities in the U.S., Viterbo offers students a values-based education highlighting leadership opportunities linked to service and ethics. Viterbo offers online programs in accounting, healthcare management, teacher leadership and instructional coaching, organizational management, special education, nursing, and professional studies. The school's online accounting degree awards students a bachelor of business administration in accounting, teaching them the skills needed to work as business analysts, financial analysts, accountants, and certified public assistants. The program features a generous transfer credit policy, part-time and full-time enrollment options, three start dates throughout the year, and eight-week courses delivered in a flexible format. Online students gain access to a finance lab, tutoring and writing assistance, and personalized advising and support services. Viterbo charges online students the same tuition as on-campus learners, even if they reside out of state. For the 2018-2019 school year, distance learners paid $470 per credit. Identifying as a career-focused polytechnic university, the University of Wisconsin Stout values collaboration, competence, and continuous improvement. UW-Stout offers programs in six career areas, including art, design, and graphics; business and management; education; science and engineering; IT and communications; and human sciences. Within each of these areas, company partners work with the university and hire alumni. Nearly 2,000 students at UW-Stout enroll in online programs. Each distance learner gets an adviser and program director assigned to them. Advisers and program directors partner with students to provide assistance with financial aid, student billing, and library help. More than 99% of students who enroll in online programs at UW-Stout carry over transfer credits from other institutions. Online students also gain access to free online tutoring and writing labs. Tutors help students in many subject areas, and writing labs allow students to submit papers for review, providing helpful feedback within 24 hours. In addition to its online programs, UW-Stout also provides hybrid options for students who want to take classes on-campus and online. Online students can choose from 10 bachelor's programs, including information and communication technologies, marketing and business education, and human development and family studies. The university also offers nine master's programs, focusing on topics like construction management, education, operations and supply management, and manufacturing engineering. Aspiring doctoral students can pursue a degree in career and technical education through a hybrid program. Consistently ranking among the top Midwestern universities, the University of Wisconsin Eau Claire boasts quality academics and high job placement rates. University programs offer learners the chance for one-on-one collaboration with faculty and staff, supporting a lifelong passion for active citizenship. Faculty encourage students to explore their passions and immerse themselves in different cultures. Since 1950, the university has held accreditation from the Higher Learning Commission. Many programs within the university also hold programmatic accreditation from specialty agencies, such as the American Chemical Society, the Wisconsin Nurses Association, the Council on Social Work Education, and the National Association for the Education of Young Children. One of the best online colleges in Wisconsin, UWEC Online hosts several online degree tracks, including bachelor's and master's in communication sciences and disorders, a master of business administration, and a master of data science. Students can also pursue different courses and certification options online through UWEC. The university provides online students with the same resources as on-campus students, including career services and academic advising. Featuring accreditation from the Higher Learning Commission, the University of Wisconsin Whitewater was founded in 1868 and joined the University of Wisconsin System in 1971. The university offers several programming options for online students, including undergraduate degree tracks in general business, marketing, management, political science, liberal studies, law enforcement, and early childhood education. Graduate students can choose from online programs in finance, environment safety and health, professional development, business administration, and school business management. The school's MBA program offers multiple delivery formats with options to study on campus, online, or both. In addition to choosing their delivery format, students can also opt to enroll on a part-time or full-time basis. MBA professors each hold doctoral degrees and actively conduct research in their area of expertise. UW-Whitewater online MBA students can focus their degree on an area of interest to tailor their curriculum to match their career goals. The program features 11 different specialization opportunities. UW-Whitewater's online bachelor's in marketing allows students to develop and strengthen their people skills and business expertise to better understand the needs of customers and derive new ways to help meet those needs. Graduates of this online program leave prepared to work as retail managers, product managers, market analysts, and sales managers. Students must complete 120 credits to graduate. The curriculum covers topics including economics, finance, marketing research, and principles of selling. Freshman applicants must submit an application, a $50 application fee, high school transcripts, and ACT or SAT scores. Part of the University of Wisconsin System, the University of Wisconsin Green Bay provides students with a problem-focused and interdisciplinary experience. UW-Green Bay offers undergraduate and graduate programs in liberal arts and sciences and professional studies. The university hosts more than 1,300 online students in 11 different programs. 85% of its online classes contain fewer than 40 students, giving learners easy access to their professors. UW-Green Bay provides undergraduate students with seven program options, including bachelor's degrees in psychology, human development, business administration, organizational leadership, health information management and technology, and nursing. The school also hosts an arts and sciences program for associate students. Four programs exist for graduate students: data science, health and wellness management, nursing leadership and management in health systems, and sustainable management. The online master of science in health and wellness management program features courses taught by professors across the University of Wisconsin System. Although online students complete all coursework online, they must identify a home campus to receive financial aid, career services, advising, and their diplomas. This 36-credit master's program consists of a core curriculum and a final capstone experience. Courses cover topics like research methods for wellness programs, exercise and nutrition in health and disease, and behavior and development in organizations. Fostering intellectual growth and providing strong educations, the University of Wisconsin Stevens Point focuses on community engagement, critical thinking, diversity and inclusivity, lifelong learning, professional preparation, a student-centered environment, and the sustainable management of resources. Part of the University of Wisconsin System, UWSP's mission is to discover and disseminate knowledge, develop human resources, and extend knowledge and its applications beyond the boundaries of campus. UWSP offers online learning for students who need a more flexible schedule. USWP Online features eight master's programs, one doctoral program, and five bachelor's programs. Students can also earn three certificates online: an add-on teacher certificate, a paralegal certificate, and a project management certificate. Bachelor's students can pursue degrees in American studies, applied computing, health information management and technology, health and wellness management, and an RN-to-BSN option that allows registered nurses to earn their bachelor of science in nursing online to further their careers. Graduate students can pursue master's degrees in areas such as community and organizational leadership, data science, education, healthcare administration, natural resources, early childhood education, education, health and wellness management, and sustainable and resilient food systems. Students interested in an online doctoral program can enroll in the university's Ed.D. in educational sustainability. Located in Watertown, Maranatha Baptist University operates in accordance with a faithfulness to God's word. Opened in 1968, the school began with just 200 students and 27 faculty members. The first graduating class totaled 13 students. Now, MBU offers more than 40 accredited programs and has more than 5,000 alums. In the last three years, MBU has served students from all 50 states and 20 different countries. MBU offers online opportunities for students seeking increased flexibility. Online undergraduate programs accept transfer credits, although students should contact their advisers for a preliminary evaluation of previously earned credits. Bachelor's students can earn online degrees in Bible, business, educational studies, and interdisciplinary studies. The interdisciplinary studies program features 128 credits of coursework, and learners can transfer in up to 98 credits. The online interdisciplinary studies program also hosts a bachelor's-to-master's pathway. Students following this route can take graduate or seminary courses while enrolled as an undergraduate, enabling them to meet requirements for their current program and a future graduate-level degree simultaneously. As an example, this option lets students graduate needing as few as three additional credits to earn a master's in Bible or a seminary degree. Additionally, the pathway allows students to complete almost half of the master of education program or a third of the master of organizational leadership program while earning a bachelor's degree. MBU also offers six associate programs in Christian ministry, business management, criminal justice, digital media, humanities, and applied science. Graduate students can explore options to earn a Bible certificate or a master's degree in organizational leadership, teaching, and learning. Students can also enroll in MBU's seminary program. Marian University, located in Fond Du Lac, identifies as a Roman Catholic liberal arts school. Founded in 1936 by the Congregation of Sisters of Saint Agnes, the university combines academics with service learning and on-the-job training. Students graduate ready to put their skills and knowledge to work. The university promotes an engaging, values-based education and boasts a student-to-faculty ratio of 12-to-1. The average class contains just 15 pupils, providing students with easier access to their instructors. At Marian, students participate in a variety of hands-on, cooperative learning experiences that allow them to integrate classroom theory with practical work experience. Marian holds accreditation from the Higher Learning Commission. Additionally, several of its business programs feature accreditation from the International Assembly for Collegiate Business Education and its nursing program boasts accreditation from the Commission on Collegiate Nursing Education. The university's social work program also holds accreditation from the Council on Social Work Education. Marian offers online programs for students looking for a more flexible learning format. Most courses feature asynchronous scheduling, which allows students to complete coursework at their own pace. Instructors receive special training and certification before they teach an online course at Marian. The university offers 10 online bachelor's programs, covering topics like management, community health and human services, and criminal justice. Additionally, students can earn online master's degrees in educational technology, organizational leadership, special education, and thanatology. Linked with the Wisconsin Evangelical Lutheran Synod, WLC focuses primarily on the liberal arts and close student-faculty interactions, maintaining enrollment of slightly over 1,000. The college celebrated its 40th anniversary in 2013. In 2009, WLC opened its College of Adult and Graduate Studies, which fostered an enhanced focus on distance learning and programs for working professionals within the college. As a result, WLC now earns a place among the strongest online colleges in Wisconsin. Regarding distance learning offerings, WLC provides a single accelerated degree completion program: a bachelor of science in business management and leadership. The program caters to working professionals, as all applicants must submit evidence of at least two years of professional experience. To better meet the needs of these students, the program delivers all online coursework asynchronously and allows students to choose between two delivery methods: an entirely online experience with no on-campus requirements or a blended learning format in which students attend once weekly night classes in Milwaukee. WLC's business management and leadership program allows students to graduate in approximately 20 months. The program's 128-credit curriculum includes courses in core business areas such as applied economics, communication in the professional setting, and project management. Students also compile a leadership portfolio as a capstone experience, in addition to another capstone project. All online students receive access to a personal academic adviser once accepted. In addition to work experience, all prospective students must possess transferable credits to apply. Applicants must also submit a personal goal statement and two letters of recommendation from former employers or professors. As a private university, WLC does not distinguish between out-of-state and in-state students when assessing tuition. Originally founded by German immigrants who settled near the school's current location in Plymouth, Wisconsin, Lakeland College now focuses on the liberal arts. The United Church of Christ-affiliated college also operates satellite campuses across the Badger State in Chippewa Falls, Madison, Milwaukee, Green Bay, Sheboygan, Green Bay, and Neenah. Lakeland also operates a campus in Tokyo, Japan. In addition to the liberal arts, Lakeland focuses on professional and continuing education. In 2017, the school began to offer cooperative degrees that allow students to work at companies in the area for 12-18 months to gain experience and pay less tuition. Distance learning programs that cater to working professionals serve as a natural extension of the school's focus, and as such, Lakeland remains one of the best online colleges in Wisconsin. Lakeland's current slate of online programs includes 10 undergraduate and three graduate offerings. Degree fields include business, education, computer science, food quality and safety, criminal justice, communications, psychology, and counseling. As the school's online student body primarily consists of working professionals, Lakeland delivers all online coursework asynchronously and eliminates on-campus requirements in most cases. The school's BlendEd platform allows students to complete assignments without ever having to attend live classes. Nevertheless, students who live locally may opt to take on-campus courses in the evening or complete their degrees through blended learning. Each online course at Lakeland lasts for 14 weeks. As a private university, Lakeland does not distinguish between in-state and out-of-state students for its tuition prices. Admission to all online undergraduate programs at Lakeland requires a minimum high school GPA of 2.0. Minimum GPA requirements vary in each of the school's online graduate programs. The third-largest university in the University of Wisconsin System, trailing only the Madison and Milwaukee campuses, the University of Wisconsin-Oshkosh originally opened as a teachers college in the late 19th century. The school earns national recognition for its powerhouse NAIA and Division III Titans men's basketball teams, boasting nine national titles. In 2005, UW Oshkosh began expanding rapidly, adding a cluster of green buildings and a growth agenda meant to raise the school's national profile and enrollment. As a result of this agenda, the university expanded its distance learning presence. UW Oshkosh now earns a place among the best University of Wisconsin online colleges. The school currently offers 10 bachelor's and three master's degrees online. Undergraduate degree fields include applied computing, criminal justice, aviation management, leadership and organizational studies, fire and emergency response management, and human services. Graduate degree fields consist of public administration, data science, and sustainable management. UW Oshkosh offers an exemplary master of public administration as their newest online program. All of the programs deliver coursework asynchronously through the Desire2Learn (D2L) platform, which promotes close student-faculty interaction through forums and discussion feeds. Additionally, thanks to D2L, UW Oshkosh eliminates on-campus requirements in each of its online degrees. The school's three online graduate programs typically take two years to complete, while completion times vary in the undergraduate programs based on how many credits students bring with them. Nevertheless, all of UW Oshkosh's online undergraduate programs feature an accelerated program, ensuring that students earn their degrees as quickly as possible. Admission requirements also vary from program to program, with graduate programs at UW Oshkosh generally maintaining more stringent admission requirements than their undergraduate counterparts. A private, Roman Catholic-affiliated university based out of Milwaukee, Cardinal Stritch University also operates satellite campuses throughout the Badger State in Brookfield and Madison. Originally opening as a teachers college, the school traditional focused on fields such as special education and reading, opening up several literacy centers throughout the Milwaukee area. Stritch's move to a new campus in the 1960s allowed the school to offer a wider variety of programs. That evolution continued in the 21st century, as the university began to offer more and more of its programs online. Stritch's School of Continuing and Online Learning (SCOL) distinguishes itself as one of the best schools for Wisconsin online college courses and currently offers six entirely online programs: master's programs in business administration and educational leadership, undergraduate programs in respiratory therapy (completion degree), business administration, and management, and a program for registered nurses to receive a bachelor's in nursing. Stritch also offers individual courses in several other degree fields. Students curious about what online learning looks like at Stritch may enroll in a free preview course. In most cases, SCOL programs deliver online courses asynchronously and never require students to visit any of Stritch's campuses to finish their degrees. Its online students also benefit from a wide variety of advising and support programs, including academic, career, and wellness counseling. The school also offers disability services, a writing center, and tutoring services. SCOL also maintains a dedicated staff, including research and technology professionals whose jobs exist to meet the needs of distance learners. As a private university, Stritch does not make a distinction between Wisconsin residents and out-of-state students when administering tuition. Originally opened in the mid-19th century, UW Platteville saw its enrollment and profile skyrocket when its predecessor combined with the Wisconsin Institute of Technology. This merger earned the school state university status. In modern times, the school offers programs beyond its education and tech school roots, including degrees in business, engineering, and the liberal arts. The school also provides some of the strongest Wisconsin online college programs, including master's programs in criminal justice, project management, engineering, supply chain management, healthcare administration, and organizational change leadership. UW Platteville also features online certificates, individual courses, and bachelor's programs in criminal justice, applied computing, and business administration. As the school's online student body primarily consists of adults with significant professional or familial obligations, UW Platteville delivers all online coursework asynchronously, hoping to fit as many schedules as possible. Furthermore, in hopes of making higher education as accessible as possible, the school's online programs eliminate on-campus and standardized testing requirements. Students with significant work experience can also earn course credit for professional experience, reducing the amount of time spent in school. Furthermore, UW Platteville styles itself as a pioneer school for both online learning and distance education. The school first offered degrees through distance learning in 1978, sending print coursework for a bachelor's in business administration through the postal service. At the turn of the 21st century, UW Platteville embraced online learning before any other school in Wisconsin, offering a master's program in project management. As such, the school maintains deep roots in online education, graduating nearly 2,200 students total and currently enrolling around 2,500 students. One of the smaller campuses in the University of Wisconsin System, UW Superior originally opened as a teachers college at the turn of the 20th century. The university became a UW system member in 1971 and currently enrolls around 2,500 students. UW Superior primarily focuses on research and the liberal arts. UW Superior also exists as one of the stronger online colleges in Wisconsin, offering 10 undergraduate programs and seven graduate programs through distance learning. Undergraduate degree fields include communicating arts, community health promotion, education, exercise science, health and wellness management, interdisciplinary studies, management, sustainable management, and writing. Graduate degree fields include data science, education, health and wellness management, and sustainable management. Online students at UW Superior can also design their own undergraduate major or minor. Past examples of designed majors include sports administration, human relations, graphic arts, and information literacy. All of UW Superior's courses, except the elementary education program, deliver all coursework asynchronously and never require students to visit campus. Aside from a few math courses, students may take all of their exams online without a proctor. Students with military or professional experience can also complete several program credits through Prior Learning Assessment. The university accepts transfer credit on a case-by-case basis and maintains close transfer relationships with several public colleges throughout the Badger State. UW Superior does not list many admission requirements beyond a high school diploma. Students who attended high school more than five years ago should write an essay explaining their circumstances. The University of Wisconsin-River Falls exists as a public, liberal arts-focused branch of the UW system based in the Twin Cities metropolitan area. The school boasts an impressive international focus for a regional school, offering several study abroad programs and holding membership in the American Council of Education Internationalization Laboratory. In the same vein, UW River Falls reaches students far beyond its region through its slate of distance learning programs, making the branch campus one of the best University of Wisconsin colleges online. The school primarily focuses on bachelor's degree completion programs, all of which only admit students with significant previous college credit. UW River Falls currently offers entirely online bachelor's completion programs in applied computing, health and wellness management, and sustainable management. The school also features entirely online certificate programs in sustainable enterprise management and sustainable management science. To earn admission to the bachelor's programs, prospective students must already possess approximately 60 previously earned college credits with a minimum GPA of 2.0. The school's bachelor's curriculum consists of around 61 additional credits, or 20 courses. In all of its online programs, UW River Falls delivers all coursework asynchronously and eliminates all on-campus requirements. As such, the school's online student body primarily consists of working professionals with some college education (ideally an associate degree) who want to finish their bachelor's degrees while still working full time. UW River Falls distinguishes itself from other schools with online programs by offering its Academic Forgiveness Policy. Students who finished their last college course over five years ago can remove all previous college courses from their GPA, starting fresh when they enroll in a completion program at UW River Falls. A private, liberal arts college loosely affiliated with the United Church of Christ, Northland College operates its central campus in the city of Ashland, Wisconsin. The school boasts several unique elements that set it apart from its peers, including a relationship with local Native American communities and a distinct focus on sustainability and the environment. As a result, Northland offers several unique Native American and environmental studies programs, and the school's campus includes environmental technology such as wind turbines and geothermal heating and cooling. Northland offers one of the more noteworthy online colleges in Wisconsin, providing 23 different programs through distance learning. Each program falls under the scope of aerospace, business and entrepreneurship, health and human services, the liberal arts and sciences, or manufacturing. The school offers programs in rare fields such as welding technology, dietetic technician, and geospatial intelligence analysis, as many of the degrees that Northland offers include a technical or pre-professional focus. Many of the students who enroll at Northland continue to work full time, and many students left college or high school years ago. To better meet the needs of these students, Northland delivers all online coursework asynchronously through the Desire2Learn/Brightspace platform and does not require online students to visit campus to complete their degrees. Students pursuing technical degrees can often complete hands-on work at placement sites in their own communities. All of Northland's online programs use the Quality Matters rubric to ensure that students get the best possible experience. In order to assist its distance learners, the school provides a resource page with guides on how to use the requisite online learning technology. Students who reside outside of the Badger State should check Northland's state authorization page to make sure that they can complete their chosen program in their home state. After the University of Wisconsin's Madison campus, UWM likely remains the most renowned branch in the UW System. The school opened in 1955 as a result of the prevalent idea that Milwaukee needed a great university to put itself on the map nationwide. The school excels in areas as diverse as doctoral research and athletics, with the school's basketball teams experiencing successful runs in the NCAA tournament in the mid-2000s. UWM also holds the distinction of one of the best University of Wisconsin colleges online. The university currently offers over 30 of its degree and certificate programs through distance learning. The university also provides individual summer courses online to help on-campus students catch up on or get ahead of their degree paths. Students can earn degrees and certificates in fields such as applied computing, architecture, biomedical sciences, communication, economics, healthcare administration, political science, psychology, and therapeutic recreation online at UWM. Furthermore, students can complete their first 60 credits, the equivalent of an associate degree or general education requirements for a bachelor's degree, online through UWM's prescribed First 60 Credits sequence. In most programs, UWM delivers online coursework asynchronously and eliminates on-campus requirements, allowing busy, working professionals to go about their normal schedules while still earning a degree. UWM offers a Flexible Option degree as a unique feature that helps separate the school from its peers. The program uses self-paced, competency-based education, allowing students to test out of course elements that they already know and earn credit for work experience, military experience, on-the-job training, and other relevant experience. All online students at UWM also gain access to a vast array of resources, including a writing center, a library, an academic support staff, and a help center. Ottawa University, an American Baptist-affiliated liberal arts school with multiple campuses throughout the Midwest and Southwest, operates out of Ottawa, Kansas and maintains adult education-focused satellite campuses in Queen Creek, Arizona; Surprise, Arizona; Phoenix, Arizona; Overland Park, Kansas; Jeffersonville, Indiana; and Brookfield, Wisconsin. The Brookfield campus sits just west of Milwaukee and earns a place among the top online colleges in Wisconsin. Students who enroll in the school gain access to all of Ottawa's online programs, which include a vast array of offerings in the fields of business, the arts and sciences, and education. The school features both bachelor's and master's degrees, and standout programs include a bachelor's in accounting, a master's in counseling, and a bachelor's in secondary education that allows students to specialize in business, English, history, or mathematics. Ottawa allows all prospective students to sample an online class before committing to enrollment in a program. As most of Ottawa's online students continue to work or raise a family full time, the school delivers all of its online coursework through Blackboard, allowing students to create their own schedules. Students can access their course materials 24 hours a day, seven days a week through Blackboard. All enrolled distance learners also become paired with an academic adviser who guides them through the entire process throughout their time at Ottawa. The school also requires at least one professor to stay on duty at all times and guarantees a response to any email within 24 hours. As a private university and a school with multiple locations throughout the U.S., Ottawa charges all online students the same base tuition no matter their location. See below for a list of the most affordable online schools in Wisconsin, ranked and ordered by tuition cost. 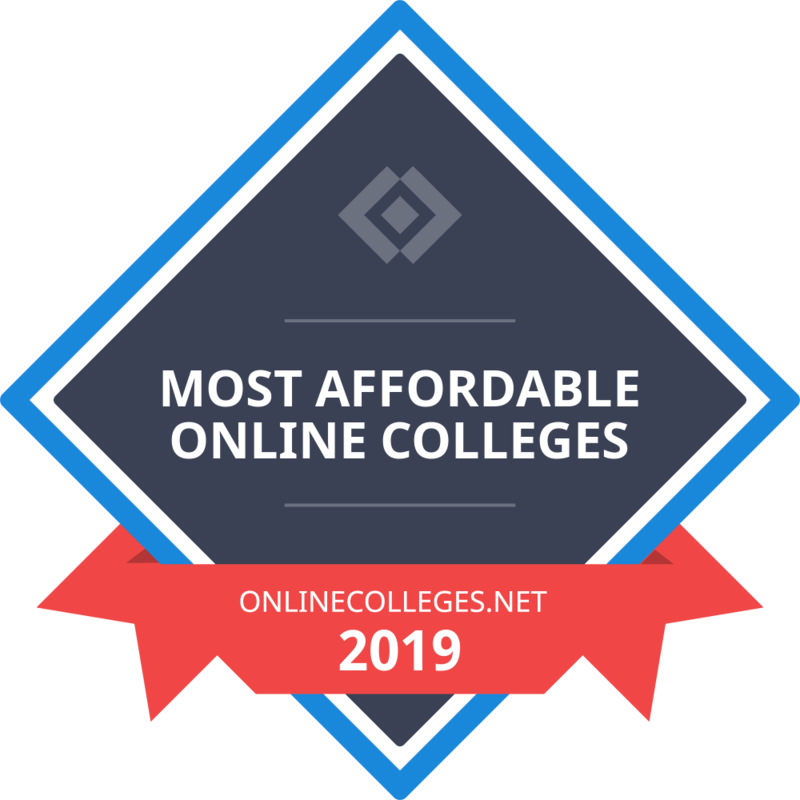 Our list of the most affordable online schools in Wisconsin is based on in-state yearly tuition, or annual tuition rates if a school does not differentiate between in-state and out-of-state students. Tuition rates are based on a full course load each semester or term. All colleges on the list offer at least one bachelor's degree completion program available entirely online. The online schools in WI with the lowest tuition are ranked highest, providing prospective students with a true list of the most affordable online colleges in the state. Wisconsin online college courses prepare graduates to enter a stable job market boasting many growing industries. Wisconsin maintains a low unemployment rate of 3% and a mean annual wage for all occupations of $46,270. According to the Wisconsin Economic Development Corporation, many of Wisconsin’s top industries benefit from the state’s natural and agricultural resources, while others relate to the state’s support of manufacturing and industry. Wisconsin’s freshwater surplus has created a booming water technology industry that employs 37,000 workers at more than 200 companies. The state’s forests make Wisconsin a top forest industry state and paper producer. Wisconsin is also experiencing growth in manufacturing and industry, with more than 44,000 industry jobs at 1,900 companies. Known for producing cheese and developing sustainable approaches to agriculture, Wisconsin ranks as a top producer of organic corn, oats, and beans. The state also hosts a thriving food and beverage industry. Home to respected research universities, Wisconsin provides opportunities for STEM grads, aspiring engineers, and individuals seeking to perform research and development in industry or academia. Wisconsin undergraduates with financial need attending Wisconsin-based private colleges can apply. Applicants must complete the FAFSA to qualify. Students enrolled in the University of Wisconsin system, Wisconsin technical colleges, or tribal institutions who demonstrate financial need can apply. Applicants must complete the FAFSA to qualify. Financially needy students in Wisconsin must complete the FAFSA and receive a nomination from a financial aid office or counselor to qualify. Wisconsin residents with at least 25% Native American heritage can complete the FAFSA and a grant application to apply. Wisconsin minority students must complete the FAFSA and receive a nomination from their school's financial aid office to qualify. First-year students cannot apply. Wisconsin high school seniors who have the highest grade point average at each public and private high school throughout the state qualify for this award. Wisconsin students with a demonstrated interest in the dairy industry who plan to work in this industry after graduation may apply. Female Wisconsin residents ages 25 or older attending an accredited college, university, or technical college may apply. Students graduating from Sheboygan County high schools should contact their school counselors for more information. Students who demonstrate perseverance and financial need may apply.